November 5, 2018 /0 Comments/in For Educators /by Jelena N.
It’s report card time! Even though this can be stressful for students, it can be tough for parents, too! Are you surprised when you see their grades? How do you react? In this article, we’ll answer a few questions parents commonly have and help you deal with the situation. Sometimes we misunderstand the purpose of report cards. They’re designed to involve your child in the process of getting good grades. They shouldn’t be an indictment! Rather, see the report card as a roadmap. Your child is at point A and the goal is to be at point B. Ask yourself what they need to improve in to achieve that goal. And, even better, ask them. Where do bad grades come from? So your child has had A’s or B+’s but now you see more C’s than you want to. This may come as a shock. Or your child has promised you that this semester they’ll get only A’s and B’s, but that didn’t happen. Now you’re disappointed. Do you ask yourself What did I do wrong? The best way forward is to include both yourself and your child in resolving such questions. We started our discussion in the article Where Do Bad Grades Come From. Let’s continue that discussion here, exploring a few more possible reasons. Is your student a teenager? Teens have active social lives and other interests that are more important to them than getting good grades. A sudden drop in grades sometimes indicates a substance abuse problem, which is also linked with teens. Also, a transition to a new school can be very stressful. Plummeting grades can be a sign that a student is being bullied. High achievers often experience a high level of stress and if they can’t handle the pressure, their grades slip. These are only a few of the possible reasons. The first step toward getting good grades is to determine the cause of the drop in grades. The next step will depend on the cause you’ve determined, but here are some DO’s AND DON’T’s that apply in (almost) every situation. 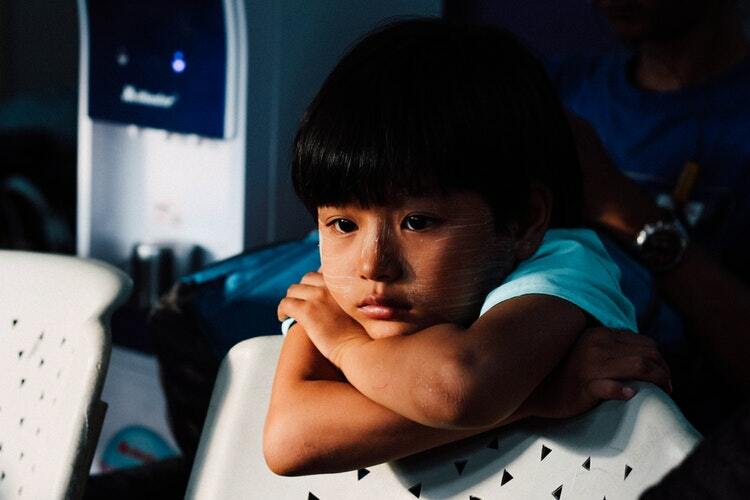 So you saw the report cards and now you’re angry. Haven’t you asked them a thousand times Did you finish your homework/assignments? They told you they did, but it doesn’t look like that. So you might start yelling. Don’t! You’ve tried this already and it doesn’t work, right? Your child probably expects this reaction and has prepared at least ten excuses. It will make them act defensively. Let’s try something different. You saw C’s in the report cards, but have you also seen A’s and B+’s? Usually, we focus on what is wrong, what we don’t like, etc. Don’t underestimate what is right. Think about that before you talk with your children. Have they improved in some subjects? Maybe there are more topics that still need improvement, but every step counts. This doesn’t change their behavior. It can only reinforce it and perpetuate the bad habits they have. However, providing understanding and motivation will probably have a positive effect on their study habits and improve their grades. Here are ways you can do that! Talking while you’re angry doesn’t work, so wait until you’ve calmed down. Also, prepare yourself. Think about questions you want to ask, the possible causes of a drop, how your student feels, etc. Let your student take the lead. Don’t put them in the position of acting defensively – let them tell you how they see the situation. Don’t interrupt them while they’re talking – listen to them carefully. If you don’t understand something they told you, ask them to explain it to you. Talk about feelings, problems, and other intimate stuff. And because these are personal things, try your best to be understanding and supportive. If you act like this, they’ll have confidence in you and tell you something they usually wouldn’t. Make a deal with your child that every time they get any grade they’ll tell you about it. Isn’t it better that you find out about bad grades from them rather than in report cards? Make them feel that they can talk to you about problems they’re facing. Offer them help in handling the pressure and school stress. This way, they will more likely tell you when something’s wrong and you can help them deal with it before it has consequences. Another good idea is to offer some kind of reward if they improve their grades. Recognizing students for the work they put in is very important, even more so than rewarding them for better grades. Try with I’m so proud of all the things you’ve learned this semester. That can be anything that’s important to them / they like – for example, you can make them their favorite meal, buy them their favorite snack. or clothes, etc. Who doesn’t like a little reward for hard work? Remember that it doesn’t have to be anything expensive. 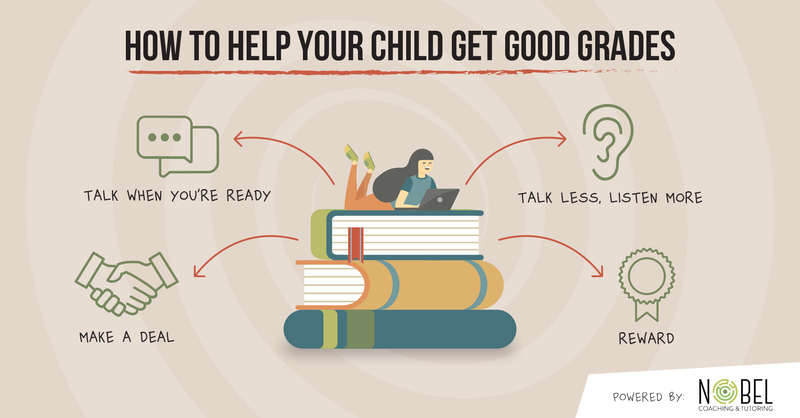 If your child still has trouble with some topics or with studying, consider asking for help. We offer online coaching and tutoring for academic and personal growth. Here you can find out how we help and feedback from people we’ve helped.